There are battery bumper car, ground grid bumper car. 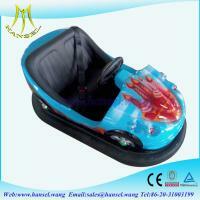 Bumper car is also called kids battery car, kid electric bumper car, go karts, kids amusement rides, etc. There are different designs and various colors for both girls and boys. The bumper cars looks like elegant and beautiful with LED lights. TT, western union, Money gram. 30% deposit and 70% before delivery. One year warranty for main parts such as screen, host,motor, etc.